In this video, a leading surgeon from Costa Rica talks about revision weight loss surgery for patients who’ve had prior bariatric surgery but couldn’t achieve the desired results or developed complications. This procedure is recommended for patients who regain over 40% of the weight even after the previous surgery. Narration – “We have several very good experiences with the revision of surgery, I’m talking about bariatric surgery, we do that kind of surgery for patients who have regained over 40% of the weight they had lost at the beginning. For medical tourists looking for affordable revision weight loss surgery Costa Rica presents top-notch medical care and facilities, experienced surgeons and rock-bottom prices. So that your purpose of visit is not just medical grounds, Costa Rica is a playground for fun-seekers. With verdant greens and hot sandy beaches, Costa Rica will pacify all calm seeking nerves in your body. Bariatric Surgery World offers affordable weight loss surgeries in the topmost hospitals across various countries in the world. Its weight loss network hospitals are in countries like India, Mexico, Costa Rica, Jordan, and Belgium. 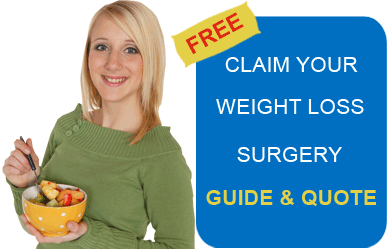 Submit the free request quote form on the right for more information on revision weight loss surgery.